Hitler Was 'Blitzed' on Cocaine And Opiates During The War, Author Says : Shots - Health News Author Norman Ohler says that Adolf Hitler's drug abuse increased "significantly" from the fall of 1941 until winter of 1944: "Hitler needed those highs to substitute [for] his natural charisma." German dictator Adolf Hitler gives a speech in October 1944. Author Norman Ohler says that Hitler's abuse of drugs increased "significantly" from the fall of 1941 until the winter of 1944. In 1944, World War II was dragging on and the Nazi forces seemed to be faltering. Yet, in military briefings, Adolf Hitler's optimism did not wane. His generals wondered if he had a secret weapon up his sleeve, something that would change the war around in the last second. Author Norman Ohler tells Fresh Air's Terry Gross that Hitler did have a secret, but it wasn't a weapon. Instead, it was a mix of cocaine and opioids that he had become increasingly dependent upon. "Hitler needed those highs to substitute [for] his natural charisma, which ... he had lost in the course of the war," Ohler says. 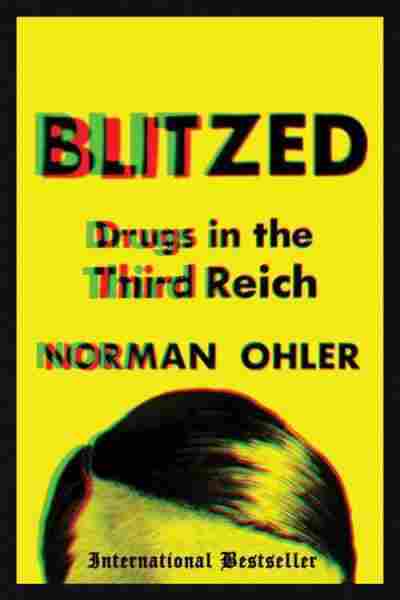 Ohler's new book, Blitzed, which is based in part on the papers of Hitler's private physician, describes the role of drugs within the Third Reich. 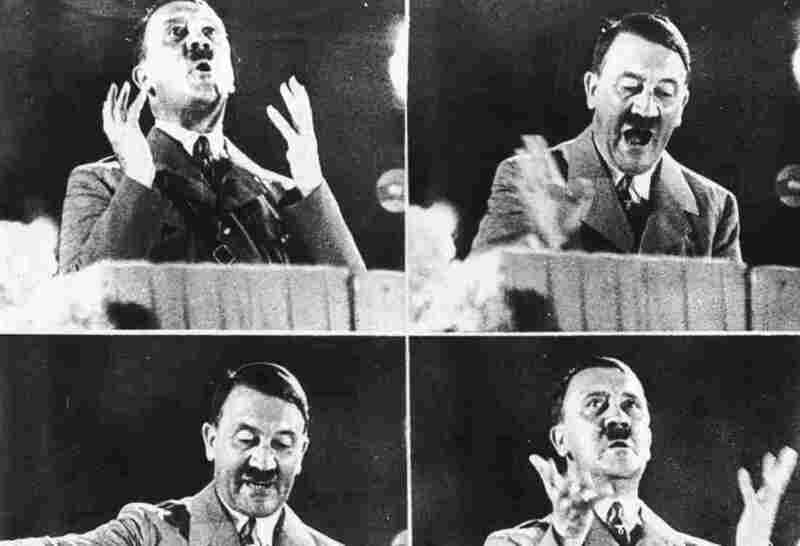 He cites three different phases of the Fuhrer's drug use. "The first one are the vitamins given in high doses intravenously. The second phase starts in the fall of 1941 with the first opiate, but especially with the first hormone injections," Ohler says. "Then in '43 the third phase starts, which is the heavy opiate phase." Hitler met a doctor called Theo Morell in 1936. Morell was famous for giving vitamin injections, and Hitler, with his healthy diet, immediately believed in this doctor and got daily vitamin injections. But then as the war turned difficult for Germany in 1941 against Russia in the fall, Hitler got sick for the first time. He couldn't go to the military briefing, which was unheard of before, and Morell gave him something different that day. He gave him an opiate that day, and he also gave him a hormone injection. Hitler, who had suffered from high fever, immediately felt well again and was able to go to the meeting and tell the generals how the war should continue, how the daily operations should continue. And he was really struck by this immediate recovery from this opiate, which was called Dolantin. From that moment on, he asked Morell to give him stronger stuff than just vitamins. We can see from the fall of 1941 to the winter of 1944 Hitler's drug abuse increases significantly. I assume that Hitler kind of pushed it back in his mind what was actually going on. For him it was important to be able to function at all times, to never have a day off, because he distrusted anyone in his surroundings, especially the generals. He had to make all the military decisions. He only came to the conclusion that Morell actually had made him addicted to opiates very late in the war, namely when he fired Morell in late April 1945. Several witnesses who were present in the bunker at that particular moment reported that Hitler shouted at Morell, "You have been giving me opiates the whole time! Get out of the bunker and leave me alone." So it looks like it came as a revelation to Hitler that he'd been drugging himself in a way, through Morell, the whole time. What puzzles everyone who studies Hitler in those last months of his life is his shaking, his tremor. It can even been seen on some of the footage that has been shot and has been released, even by the Nazi propaganda machine, where we can see Hitler shaking the hands of young kids, Hitler Youth, very late in the war effort and his whole body is shaking and his hand is shaking without even shaking the hands of these kids. ... Some historians have claimed that this is the result of Parkinson's disease, because Morell, in fact, administered a medicine against Parkinson's once in April 1945. So perhaps Hitler did suffer from Parkinson's; it's a bit hard to say in retrospect. What we can say is that Morell writes in his notes that he is lacking the drugs that he had been giving Hitler in late 1944. In 1945, these drugs are not available to him anymore, or they're hard to come by. ... The fact is the Merck Co. in Darmstadt had been destroyed by British air raids in December 1944, so Merck was not able to produce Eukodal anymore, and Morell doesn't give any of the potent substances that he gave Hitler before. He doesn't give any of those in 1945. If you take oxycodone intravenously for some time and then suddenly you're not able to get the drug anymore, you will certainly suffer from withdrawal symptoms. So I believe that Hitler's deteriorating health in 1945 when he was in the bunker in Berlin — that wreck of a man that we can witness in certain photos and in that footage that came out of that time — is due to withdrawal symptoms. In the mid-1930s there was a company in Berlin called Temmler which developed a new type of "medicine" ... which was methamphetamine, which they branded as Pervitin and Pervitin methamphetamine, which we now know as crystal meth, or at least is the street name. [It] was perfectly legal and was seen as a legitimate way of boosting your daily performance. It was like a potent cup of coffee. Professor Otto Ranke realized in 1938 that there was a medicine out there that was highly popular in the German civilian population. This was Pervatin methamphetamine, and he read some of the reports ... [that] concluded that methamphetamine reduces the fear level, if given in high dosages, and also reduces the need to sleep. ... So he started doing tests in 1938 and in 1939 on young medical officers in Berlin. ... [And] he came to the conclusion that meth is the perfect drug for soldiers, and he suggested this to his superiors. He said, "We should distribute meth officially among the troops." The surprising strategy of the attack against the West was ... to move the whole army with the tank troops ... through the Ardennes Mountains in a very rapid fashion. ... The Western allies didn't think the Ardennes mountains would be a threat, because any army would have to rest at night and then could easily be destroyed in that mountainous terrain, but the German strategy was to not stop and to reach the French border city of Sedan after three days and three restless nights. Thirty-five million tablets of methamphetamine were being distributed just before the advance and were being taken by the tank troops in regular intervals. Two pills had to be taken once the advance [started], and then after 12 hours another pill, and then after 12 hours another pill. This was written down in the so-called stimulant decree. It actually worked. The Germans reached Sedan after an amazingly short period of time ... while the French and British [armies] were still in northern Belgium, where they had actually expected the German attack.